These hinges are re-pinned with the hinge welded in place. There is also a grease fitting so that you can always keep them lubed up and they will last for many more years than stock. 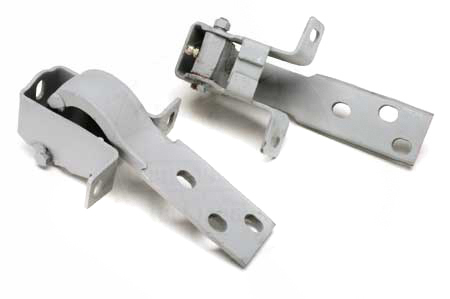 $132.65 for each hinge; there is also a 40.00 core fee, so be sure to return your old hinges so we can help others stay on the road.